Rev. 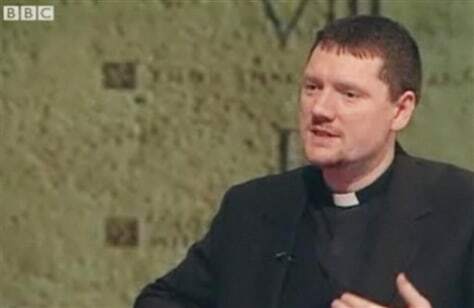 Tim Jones, parish priest of St. Lawrence and St. Hilda in York, England, in a recent BBC interview. Jones caused an uproar by telling his congregation that it is sometimes acceptable for desperate people to shoplift — as long as they do it at large national chain stores, rather than small, family businesses.